Visit the Heritage Inn Hotel & Convention Centre’s page on Facebook to find out what is happening around the hotel by clicking here. Or try searching #YXE on Facebook, Twitter and Instagram for a local's view of the city! Looking for things to do on your visit to Saskatoon? Experience the history of the prairies in this gorgeous university town. Pick from museums, casinos, live music, the zoo, theatres, historic sites, parks, galleries or the performing arts. Canoe on the South Saskatchewan River and take in the amazing architecture of the 7 bridges spanning across. There are lots of riverbank paths for a easy morning jog or casual hike. Explore your ethnic roots or take in a world-class sporting event. Dine out and sample delicious authentic local cuisine. Spend the day shopping downtown in the Broadway district. 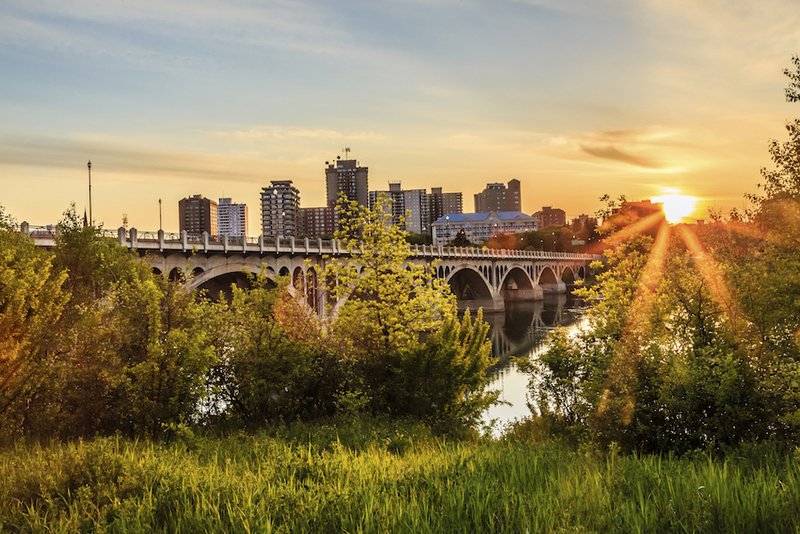 Stay up all night and discover why Saskatoon has been called most romantic city in Canada. You can only find out in person--virtual reality won’t cut it for this experience--so come stay with us. You won’t be disappointed. To plan your activities, download our fun 'map'* of southern Alberta and Saskatchewan (*map not drawn to scale). Or visit the City of Saskatoon, Tourism Saskatoon or Tourism Saskatchewan's websites for more information!